Rollover truck accidents are among the most deadly types of collisions for both truckers and others on the roadways. Some of the reasons for this are that rollovers can quickly crush vehicle cabins, trap drivers and lead to fatal injuries. When negligence causes rollovers, the Denver truck accident lawyers at Warshauer-McLaughlin Law Group will be here to advocate victims’ rights to compensation. Truck drivers have to sharply turn a large truck at the last minute to try to avoid a collision. Truck drivers lack the proper experience to drive defensively and recognize/avoid factors that can contribute to rollovers. Trucks are overloaded, and/or the cargo that trucks are hauling is not properly balanced (i.e., the center of balance of the loads is too high). When any type of negligence is a factor in causing rollovers, accident victims can rely on the skilled Denver truck accident attorneys at Warshauer-McLaughlin Law Group to fight for their rights and help them obtain compensation for their injuries and losses. Truckers’ inattention to the road and the task of driving – This may be caused by truck drivers’ intoxication, fatigue and/or distraction, any of which can lead to drivers’ failure to recognize changing road conditions and, consequently, the need to sharply swerve at the last minute. Truckers’ inexperience – This can lead to drivers not being able to identify potential roadway dangers and/or not knowing how to maneuver trucks safely in order to avoid collisions. 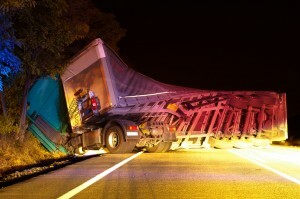 Truckers’ and/or trucking companies’ failure to maintain trucks – This can cause serious equipment malfunctions like, for example, tire blowouts, brake failures, steering system malfunctions and other defects that may lead to rollover accidents (or, worse yet, jackknifes that then cause rollovers). Failure to properly secure truck cargo – As previously mentioned, when trucks are overloaded, the center of gravity of a truck’s load is too high and/or the load is not properly secured to a truck, the risk of rollovers increases significant. These issues can be caused by either the truck driver responsible for loading the truck or the trucking company responsible for training drivers (or other employees) how to safely load trucks. Other negligence – Additional factors like poorly set up construction sites, malfunctioning intersection signals and the lack of traffic signage can also contribute to rollover accidents. In these cases, any number of different parties may be considered to be negligent and, consequently, may be responsible for compensating truck accident victims. With more than 35 years of combined legal experience, our skilled attorneys are effective at aggressively advocating victims’ rights, and we have a proven track record of success when it comes to helping victims obtain the highest possible compensation for their injuries and losses. 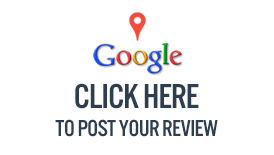 We encourage you to learn more about your rights and get a thorough, professional evaluation of your case by meeting with us for a free, no obligations initial consult. You can set up this meeting today by calling 720-420-9800 or by emailing us using the form on this page.